Discover different ways to quilt. Here’s my exclusive guide to quilting to help beginners upwards decide which types and styles of quilting they want to try. Check out the eCourses page regularly for new courses and why not ask your quilting group to host me as a speaker. A quilt is normally a bed sized quilt, but these days there are far more uses of quilting in wall hangings, clothes, home accessories including anything from mug rugs and coasters to cushions and sewing machine covers plus quilt sizes ranging from mini to King Size bed quilts. Block quilts have existed from the 1800s at least and are still extremely popular today. There are many traditional and modern block patterns. Take a look at our Block Design eCourse. Applique is also a traditional quilting technique. 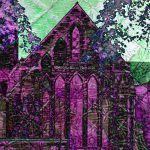 Historical methods of quilting include Cathedral Window Quilting and Japanese Folded Patchwork. Take a look at our eCourses on these two subjects. Whole cloths or traditional hand stitch quilts are heirlooms. They take a long time to make, but are worth it. 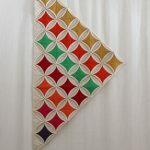 See our modern slant on a hand stitched calico cloth quilt in the eCourses section of the website. With the advent of freeform quilts – informal designs and free motion machine quilting, this art form has really taken on a free spirit again. We offer a number of eCourses on modern methods of quilting including design eCourses and tutorials using traditional hand stitch methods or computer design. A method of adding cut shapes to quilts to the surface of the quilt top. There are several types of applique. This can be done n formal blocks or informal designs. Technique: there are various techniques of machine or hand stitching shapes to the quilt top some more complicated than others. You need to find a way of cutting and piecing the shapes to the surface. Hawaiiian quilts are a form of appliqué. There is also reverse appliqué – Mola is a form of reverse applique. Broderie Perse is another type of appliqué. A freeform design that conveys a beautiful image or a message. This type of quilt is usually a wall hanging and can use traditional or modern methods. Improvisational quilts are ones which are not bound by rules and often include freehand cutting and innovative piecing. Landscape quilts are art quilts that mimic the landscape, they often rely heavily on stitch and using the right fabrics. Photo quilts use your own photos, transferred to fabrics. Repetitive blocks are an easy way to create harmony. Blocks are often referred to as units. 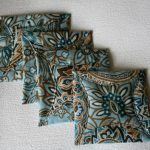 They are used in traditional quilting. Technical ability: Beginners to Advanced depending on the complexity involved. Simple blocks can be made using geometric shapes. Versatile including anything from two colour simple striped blocks up to the exhilarating challenge of Double Wedding Ring or Dear Jane quilts or Sampler Quilts which contain different blocks. Attic Windows Quilts are another type of block involving an optical illusion using a frame to give the effect of windows. Simple blocks are an excellent introduction to traditional quilting. A style of irregularly-pieced quilting. Shapes can be random or follow a design pattern. Embellishments are usually added including buttons, beads and embroidery. Unusual fabrics such as velvet and lace might be introduced. Technique: Accurate piecing of different shapes. You need expert knowledge on how fabrics behave and if they will behave the same when washed. An easy way to achieve precision. If you are struggling with accurate seams, inset seams or matching up shapes – this is the way to do it. Bonus: portable. These days you can repeat your template easily in software and print out as many templates as you need in the size you want. Templates are removed once the top is completed. Fabric is stitched to paper or muslin forming foundation pieces. It’s another accurate paper piecing method. When you look at perfect points – this is the way it is done. 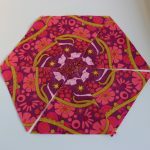 Patterns that look complicated can be achieved easily with this method from triangles to picture quilts. The paper pieces are numbered for piecing. Easy to accomplish complicated designs. Technique: Accurate hand stitching. Accurate cutting of circles to ensure all the ‘blocks’ are the same size. A style of quilting that traditionally uses the clothing of someone you wish to remember or to give to someone as a keepsake. Photo quilts can also be a type of memory quilt. Emphasis on bold colours, design, use of space enhanced by quilting stitches. These quilts often look equally good on the wall as on a bed. Technique: can be as simple as lines breaking up negative space to challenging designs with multiple techniques. Technique: accurate straight stitch quarter inch seam. Piecing can be more challenging if you cut your squares into triangles. A simplified way of working on one block at a time, piecing onto wadding then quilting before you move on to the next block. Blocks are then joined together to form the quilt with minimal quilting of the whole quilt because the quilting has already been done. Technique: quilting on smaller pieces as you work that avoids having to do extensive quilting on the whole quilt. Bonus: can be fitted into small sessions and you feel as if you have accomplished something because you have a pieced and quilted block. These are quilts using traditional methods but including non-traditional materials such as denim. The seams are exposed on the front. They are assembled differently to traditional quilts. A type of quilting with exposed raw edges. Japanese quilting with precise stitches that form designs. Special sashiko cotton is available in different colours. The fabric is usually dark blue (indigo). Sashiko quilts traditionally have no padding. A quilt that uses leftover bits, often in small pieces to make a quilt. The selvedge (selvage) is normally cut off the fabric as it does not behave like the rest of the fabrics as it is woven differently. However recently, people have started putting selvedges together to form accessories or quilts. Nothing is wasted. Challenge yourself with a Bargello strip quilt. You could also try different ways to cut up strips once sewn together. Seminole Patchwork is another type of strip quilting. An Italian style of quilting that is ‘stuffed’ with padding to add dimension to the design, a bit like stumpwork. This guide is free for personal use only. The contents are not to be copied nor shared nor distributed in any way.